Public assessments of the Supreme Court have reached a quarter-century low, and public opinion about the new health care reform law—the constitutionality of which the Court will be rendering an opinion about this summer—remain deeply divided. A nationwide survey by the Pew Research Center for the People & the Press conducted last month found that 52 percent have a favorable opinion of the Court, down from 58 percent in 2010 and the previous low of 57 percent, in 2005 and 2007. About 3 in 10 Americans (29 percent) expressed an unfavorable view. The survey was conducted after the Court’s hearings on the health care reform law. The survey found that the law’s supporters and opponents express similar views of the Court. Overall, the public remains deeply divided over the health care law: 41 percent say they approve of it, while 49 percent disapprove. Among the law's supporters, 52 percent have a favorable view of the Supreme Court, while 34 percent view it unfavorably. Among the law’s opponents, the balance is only slightly less negative; 55 percent favorable, 28 percent unfavorable. The Pew poll can be accessed here. 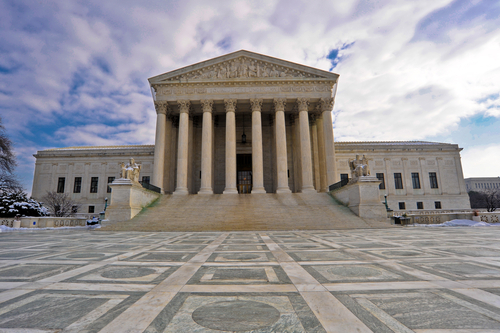 For more information on the Supreme Court and the health reform law, see Psychiatric News here.